HASCON 2017: Stan Lee has talked to Marvel fan Leonardo DiCaprio about playing him in a movie – AiPT! At HASCON 2017, Stan Lee revealed he’s spoken to Leonardo DiCaprio about playing him in a film. So, there’s already that rumor going around about Warner Bros. wanting Leonardo DiCaprio for their upcoming Joker origin story. But it turns out, someone else has been talking to the Academy Award-winner about another origin story – Stan Lee! 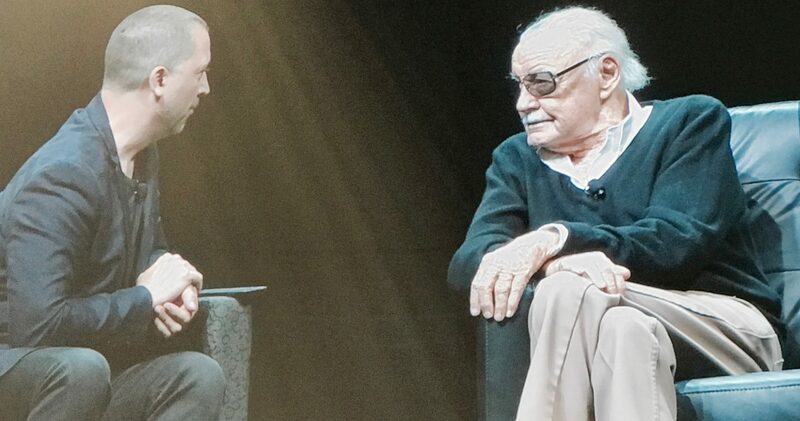 During the September 8 panel with Stan Lee at Hasbro’s first-ever HASCON, a member of the audience asked the legendary creator who would portray him in a film. Lee went on to say that DiCaprio is not only a “Hell of a nice guy,” but a big Marvel Comics fan as well. Well, would you want to see DiCaprio playing Stan “The Man” Lee on the big screen, true believers? Sound off below!